Rintarō realises the D-Mail Rumiho sent prevented moe culture from being introduced into Akihabara. As Rintarō wonders why the relationships between his friends hasn’t been affected, he comes to realise that Ruka’s gender had in fact been changed. 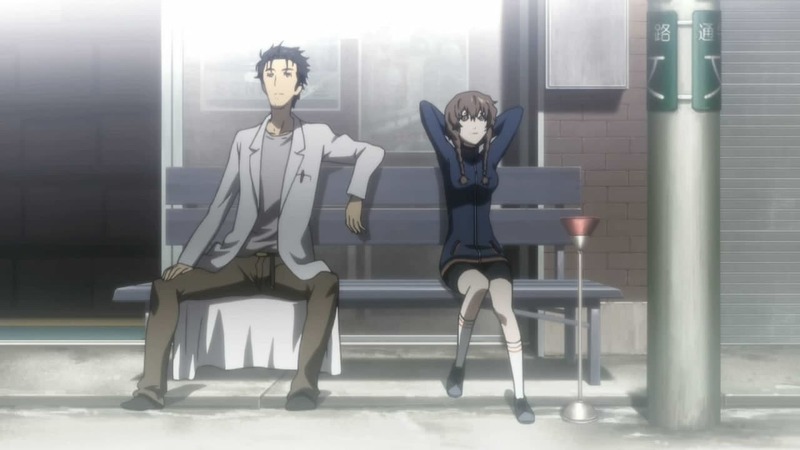 Afterwards, Rintarō talks with Suzuha, who revealed she came to Tokyo to try and find her estranged father, mentioning she will leave if she is unable to find him the next day. As Rintarō contemplates holding a party for her, offering the chance to send a D-Mail if she fails, he receives a text message letting him know that someone is watching him. Mayuri mentions how Rintarō fell sick when he was younger, which he believes to be the origins of his ‘Reading Steiner’, his ability to travel between world lines with his memories intact. That night, after some mishaps in preparing the party, Suzuha doesn’t show and simply sends a farewell text to Rintarō. He decides to send a D-Mail to himself telling him to follow her, changing history so she ended up attending the party and staying in Tokyo. In this new timeline, the satellite that had crashed into a building in Akihabara has mysteriously disappeared.